The representation of stereotypes in our thriller is somewhat rather stereotypical. The dead female character has sense of naivety due to her attire. 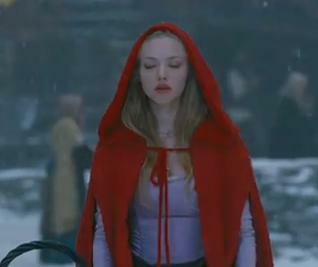 Her red jacket gives her 'a red riding hood' appearance to her which suggests her naivety may have led to her death and that she was possibly easily led. The protagonist in our production is based on a social group that is looked down upon a great deal in British society . The Council Housed And Violent individuals known as 'hoodies'. We chose this as it reflects the current zeitgeist in this country. 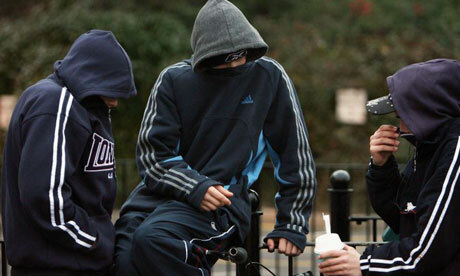 'Hoodies' are considered as having no conscience and this was highlighted in last years London riots. The media dehumanised these indivuals and coincedently has led to a stern prejudice towards them, which may lead to possibly worse crimes and outcomes commited by 'Hoodies'. Bleakness and a dark future for Britain is what is portrayed in our production. We also have an upper-class character in our thriller whose actions are enigmatic. It's unclear whether he is a loved one of the murdered female or schizophrenia sufferer who murdered the women himself. We got this idea from the 'Fight Club' movie. Where the main character has an alter ego which he can see in human form . Far too brief to suggest any more than minimal to basic understanding. Your reference to Red Riding Hood is splendid and couldn've been developed. Please note advised area to develop. You have the traditional stereotype of the hoodie/yob who has no conscience thus indicating that those at the lower end of the social scale are not much better than animals. A rant that the news media pumped out particularly after the summer riots. Once the media dehumanise a specific social group then dangerous prejudices with even more dangerous outcomes are possible. The Third Reich during the war through the media compared Jewish people to rats, thus it made it easier to herd them together and exterminate them because this group were not seen as human. Interestingly in your production you have the binary opposite of the contorted guilt ridden young man who has aspects of the body language of the psychotic split personality killer like Norman Bates in Psycho. In other words the contrasing between the extravert and introvert. Thus your film represents young men as unstable and suspicious thus as in the noir thriller tradition where war time and post war thriller represented a deeply pessimistic and anxious mood, one could say your film communicates the deep anxiety, vulnerability and fears of what it's like to be a young man in austerity Britain, where jobs are few, well loved institutions are being privatised and the future seems bleak. In a sense the working class and middle class boys represent confusion and alienation. Jonathan you are intelligent enough to respond to this question in more than a few lines.